The St Petersburg Yacht Club will once again host the Americas Disabled/Open Regatta December 1st 2016 – December 4th 2016. This will be the 20 th consecutive year that the St Petersburg Yacht Club, St Petersburg ,Florida has hosted this international event for 2.4mR boats and Sonars. It includes 3 days ( Friday , Saturday and Sunday) Dec 1 thru Dec 4, 2016 of racing on Tampa Bay. Last year we were delighted to have 2 teams of wounded warrior vets in Sonars plus a sonar team from the Judd Goldman sailing Foundation in Chicago. 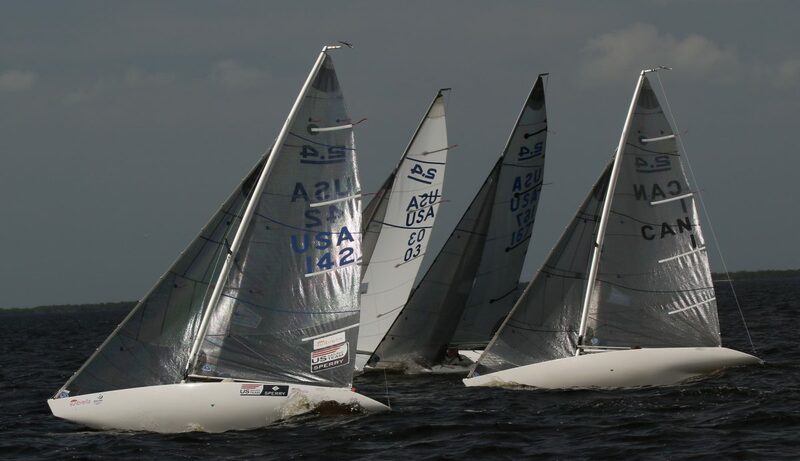 Ten 2.4mR sailboats competed from USA and Canada. Each year the Grunson Milam trophy is awarded to the top female skipper and the top female crew in order to encourage women in sailing. Jen French , silver medalist at the Paralympic Games 2012, presented this award last year. We are looking forward to a fun regatta with good winds, sunshine, and an excellent race committee.